Norwich have moved back up the table after a slight slump in form they had suffered, beating Wolves 2-1 in an exciting, edge of your seat game. However, Wolves form has been disastrous recently with them taking only 1 win from their last 16 league matches. Norwich started the game well, controlling the play with neat passing and retaining possession. The first goal of the game came against the run of play as Matt Jarvis got onto the end of a Kightly cross, which took a deflection off Doyle along the way. Their lead lasted just a minute as City captain, Grant Holt, who will be pushing for an England call-up, scored after linking up with strike partner Simeon Jackson. Holt picked up Jackson’s ball into the box, flicked it over the goalkeeper and nodded it into the open goal. A beautiful goal, which took true talent and confidence to do…Take a look Stuart Pearce! Norwich then piled on the pressure with Holt firing wide from range, before another shot was blocked by Ward rebounding to Hoolahan. His shot was blocked by the arm of Jonsson and Clattenburg pointed to the spot. Holt stepped up, brimming with confidence and tucked the ball away on the stroke of half-time. Norwich came out all guns blazing in the second half and were unlucky not to extend their lead, but some brave defending by Wolves prevented any more goals. Wolves then tried desperately to grab an equaliser, with Norwich absorbing the pressure and looking to counter. The last chance of the game fell to Jonny Howson, but Hennessey was equal to the pile driver. The last action of the game came when Holt was sent off, marring a good performance from the captain. The final score was 2-1 with Norwich moving up to 11th, but Wolves remain slumped at the bottom of the table. 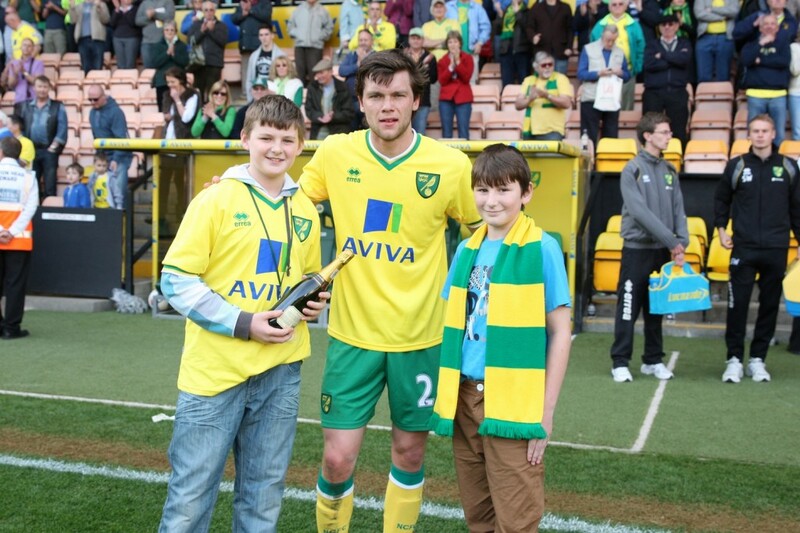 The Anglian Home Improvements Man of the Match was Jonny Howson. Do you think Holt deserves an England call-up? Has he been good enough this season?